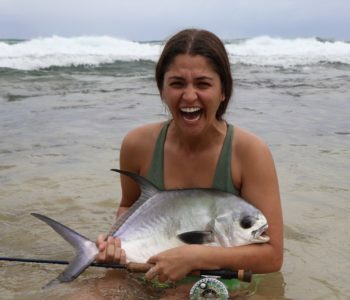 I would love to go tarpon fishing, I love the intensity, and can’t wait to try it! 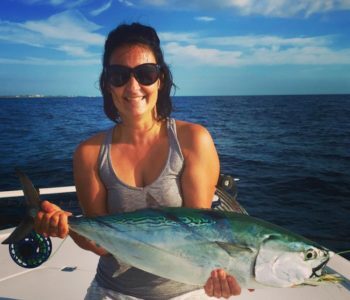 Growing up on the Jersey Shore, I was constantly surrounded by the sights and sounds of the ocean. 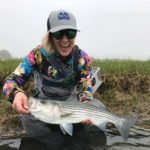 Living on the coast was something that I didn’t fully appreciate until I moved to northwestern Connecticut after college and felt landlocked for the first time. 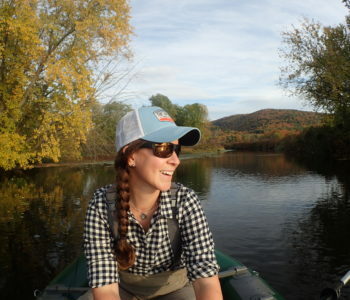 Soon after the move, I started working at Orvis in Avon, Connecticut, where I was offered the chance to connect with a different body of water. 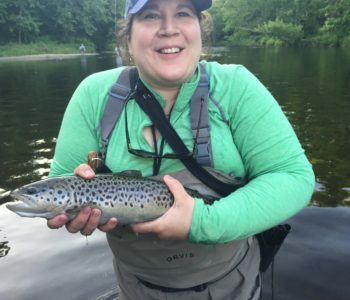 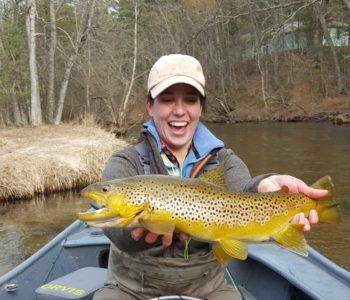 The store staff, management and the local guide had me out on the Farmington River several days a week, and before I knew it their passion for fly fishing quickly became mine. 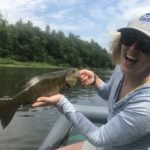 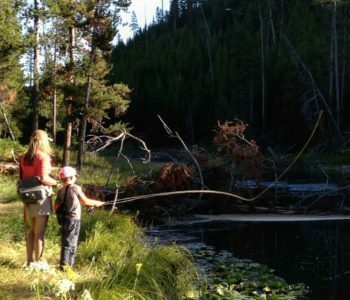 Fly fishing connected me to the outdoors in a way that I had never been before. 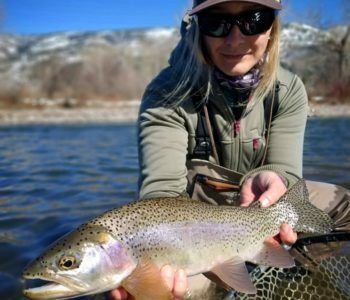 When I wasn’t on the water I soon began helping instruct introductory classes and absorbing every bit of product knowledge about fly fishing I could. 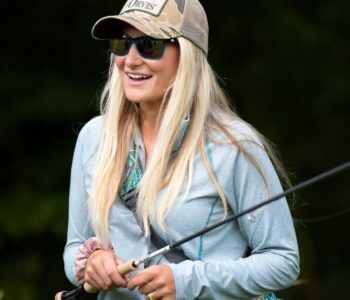 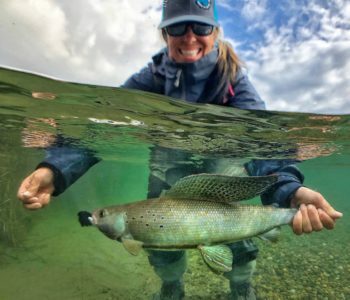 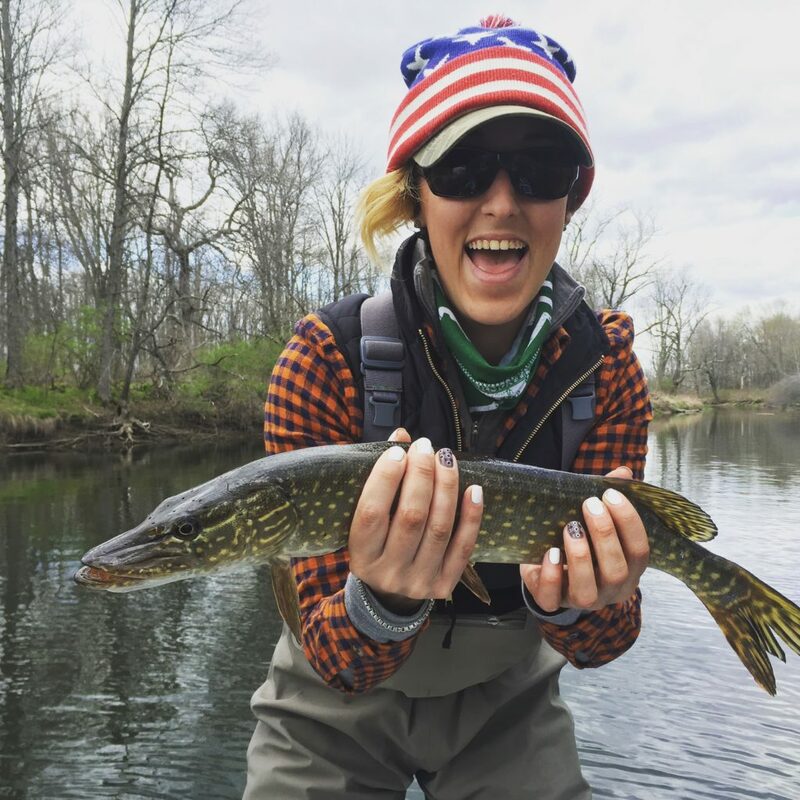 This soon led to a move to the Orvis Home Office in Vermont, where I now get to work with fishing products every day, connect with other anglers, and promote getting more women involved in a sport that completely altered my view of what it means to be outdoors.